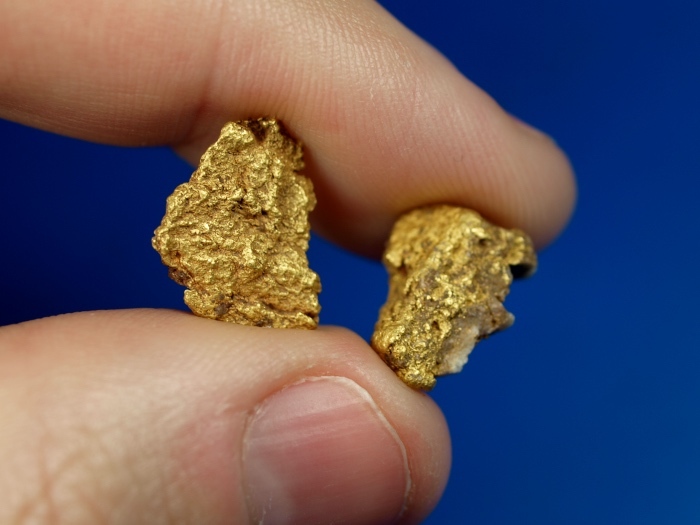 Here is a pair of natural gold nuggets found by a prospector in the central Arizona desert. They each have a small amount of quartz matrix. 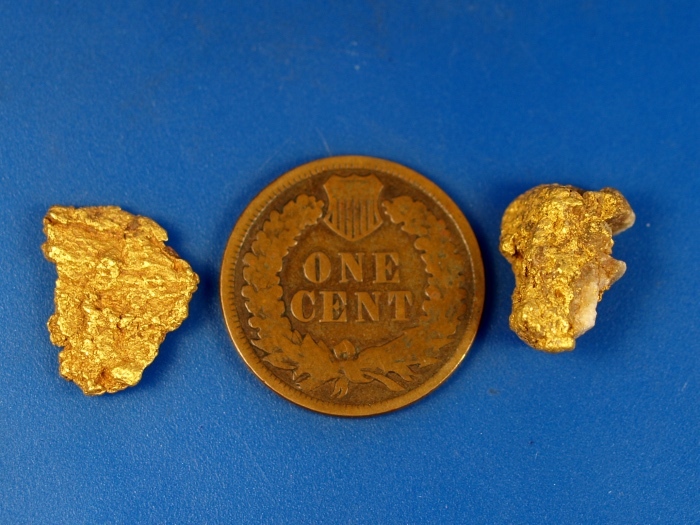 Their combined weight is 3.92 grams.